Through our Meet the Family series, we will introduce a new Upper Ninety staff member so you can get to know us better. This month, meet Program Intern Devon Harris! My name is Devon Harris, and I am a Program Intern at Upper Ninety. I am a senior Social Work major at the University of Texas at Austin and was thrilled to find Upper Ninety for my senior year internship. Upper Ninety allows me to combine my love for soccer and my passion for Social Work as a profession. I chose this line of work because teens are a population that need more support, advocacy, and resources. I feel like it is too often that teens do not have someone that is there to listen and support them in any way they need. 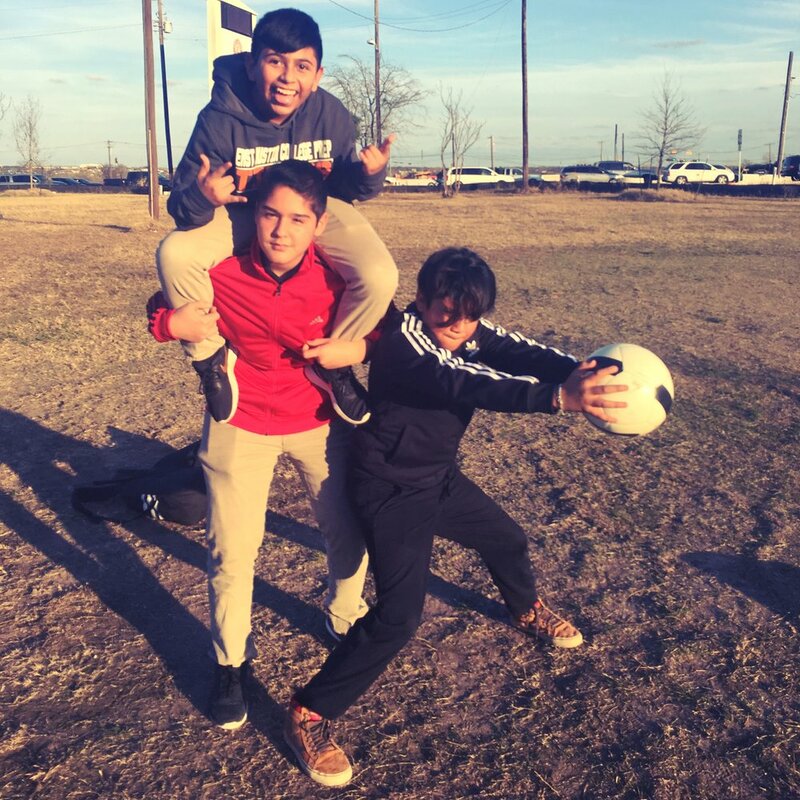 Soccer breaks the formal boundaries and allows a deep relationship to be established with each person on the team. The skills that I have acquired serve me in a way that allows me to be flexible in the way and the environment I approach each student in. I grew up playing soccer and always wanted to find a way to bring it back into my life after I stopped playing in high school. Playing on intramural teams during my first 2 of years of college was not enough but I did not know how to incorporate soccer any more than that. I was told about Sports and Social Work later in my college career but I knew it was something that I needed to discover more about. I actively sought out an internship placement that would allow me to connect with teens through sports and immediately expressed my interest in being placed here. I have been able to contribute to different mindfulness games and restorative justice circle topics that we do on the field. I like the Team Circle time because hearing every players response lets me know more about them and it is a time that they get to know me. I also feel like I discover more about myself every time we partake in a circle. A new initiative that Upper Ninety is incorporating is Facetime; a face to face meeting with each student who is in the program. Facetime allows me to utilize different social work skills as we talk about a variety of topics and engage in different activities. I love doing Facetime at both of our schools because it helps me build a relationship with each player and it is an opportunity to address different challenges that we all face. Through our Meet the Family series, we will introduce a new Upper Ninety staff member so you can get to know us better. First up: volunteer superstar, Alejandro Avellana! Q: How did you get involved with Upper Ninety? Back in January, 2018, Upper Ninety had a fundraising event listed on the website Do512. I browse that site looking for events in and around Austin and the organization's mission stood out to me. I decided to get involved and contacted Kaitlin. Q: What do you do as a volunteer? As a volunteer, my main responsibilities involve helping players check in, set up the field/equipment, and assist with ad-hoc tasks such as rounding up students, participating in Team Circle, drills, scrimmages, etc. This semester I've also taken on some responsibilities with visualizing Upper Ninety's student survey and other data. Q: What’s your favorite part about volunteering with Upper Ninety? Apart from getting to play soccer regularly, I really enjoy seeing the players open up during Team Circle. During Circle, we all have the opportunity to talk through issues going on in our lives and reflect on important topics. It is a great way to connect with the students on a more personal level and, even as a facilitator, I regularly learn more about myself by participating. Q: Tell us about where you come from! I’m originally from San Antonio, Texas and come from a Spanish speaking household. My mother is the daughter of Cuban refugees and my father emigrated to the US from Mexico after marrying my mom. A good part of my life growing up revolved around playing soccer and it forms a common thread in many of my closest friends over the years. Q. How do you feel about working with a nonprofit? In a word, fulfilled. Upper Ninety gives me the amazing opportunity to give back to the local Austin community doing something I love in playing soccer. The students often remind me of myself and the friends I grew up with so I really enjoy being a positive influence in the lives of people growing along similar paths as I did. Q: Any last words for your fans? I love being a part of the Upper Ninety family! These days, lots of companies say they want to "give back," but it can be rare to find one that truly puts their money (and time!) where their mouths are. But adidas Soccer did just that — they showed up and left Upper Ninety with smiles on everyone’s faces. 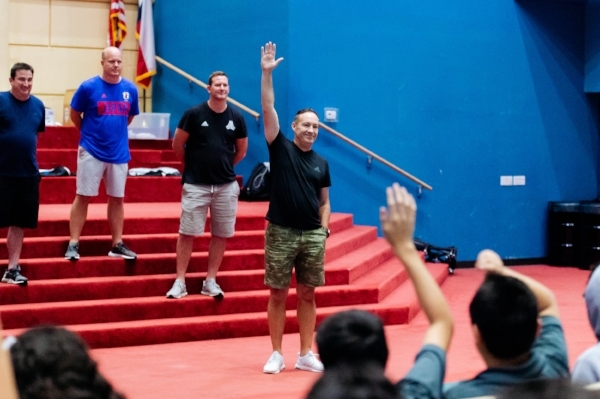 A couple of weeks ago, on September 12, a team of representatives from adidas Soccer took time out from their annual regional meeting to come spend the afternoon with Upper Ninety. Arriving with boxes full of gear, the leaders delivered some inspirational words to our students about how sport has the power to change lives. Our students anxiously awaited as they listened in awe, wondering what adidas Soccer might have brought them. And then, it was time. The representatives started distributing all the goodies from the boxes, as over 60 of our Upper Ninety players from across east Austin waited one by one. adidas Soccer gave each of our students brand new adidas backpacks and beautiful new jerseys, and for everyone they brought some much-needed field equipment, including goals, cones, ball bags, and corner flags! Smiles flooded the entire auditorium as the students received their gifts. Afterwards, the adidas team came out to our field at East Austin College Prep to hang out and cheer on the kids as they scrimmaged, excitedly sporting their new team jerseys. What a day! As they told our students, adidas Soccer is committed to using the power of their brand, and the power of the sport to change lives. By showing up in our community, getting to know our kids, and investing in their futures, adidas Soccer truly is walking the walk. It is an incredible honor to be able to partner with such a globally renowned company, and we can't wait to see how together, we can continue to change lives through soccer! Welcome to the Upper Ninety family, Andrea Velgis! Andrea has a passion for advertising/communications and as a senior at UT Austin, she is ready to take over our social media and communications campaigns! Want to know more? Read on. 1. Where are you from? I’m from the desert town of El Paso, Texas. I was born in San Diego but consider Texas my forever home since we moved here when I was 5. 2. What are you up to now? I just started my last year of college! This is both exciting and scary… I love being an advertising major. The creative aspect of advertising is really intriguing to me because it combines art with psychology. 3. Why were you drawn to intern with Upper Ninety? I’ve always wanted to work for a nonprofit and Upper Ninety allows me to combine my passions for advertising/communications, working with kids, and my love of sports! My previous internship was at Sherry Matthews Advocacy Marketing where they do public service announcements like “Don’t Drink and Drive” and “Click It Or Ticket” all for the betterment of society. I like the kind of work that has meaning and purpose. 4. When you're not busy studying or working for Upper Ninety, what do you like to do in your free time? I love music, which makes Austin my perfect city! My favorite genre is Texas Blues and my all-time favorite musician is Stevie Ray Vaughan (Would definitely name my first born after him. Kidding. Or am I?) I also play the guitar from time to time. Another hobby of mine is photography. I’ve loved taking photos since I was very young. 5. What's one thing your University of Texas classmates don't know about you? My classmates probably don’t know that when I was 13 years old I visited Japan for three weeks! When I was in kindergarten I had a Japanese best friend and I thought her culture was absolutely fascinating. I spent my whole childhood reading about Japanese culture and when I was old enough, my dad surprised me with a the trip of a lifetime. Announcing: adidas Soccer Partners with Upper Ninety! When I was a kid, my dad and I had this ritual. Every year, when I grew out of last year's cleats, he would drive me to the soccer store to find a new pair. And every year, he'd ask the salesperson to bring a pair of adidas Copas out, sized down a size, of course. While we waited, we would admire the clean black cleat with the triple white lines, and my dad would go on about how the Copas are the classic boot. All great soccer players wear Copas, and I should, too. The salesperson would come back with a box of fresh Copas, and every single year, my dad would ask - isn't this the classic boot? The salesperson would agree: yep, the Copa really is the classic boot, the cleat all great soccer players wear. So every single year, without fail, I would try them on, knowing what would come next. My feet were too narrow. Even sized down one or two sizes, my heels would slip when I ran. The Copa might be the classic boot, the cleat all great soccer players wear, but I couldn't wear them. Luckily, adidas made the Predator, the perfect cleat for my non-classic feet. I wore Predators all throughout my club and college career. My final pair, purchased before senior year pre-season (without my dad there to insist on the Copas, first) traveled with me to Argentina where I competed with the Div. 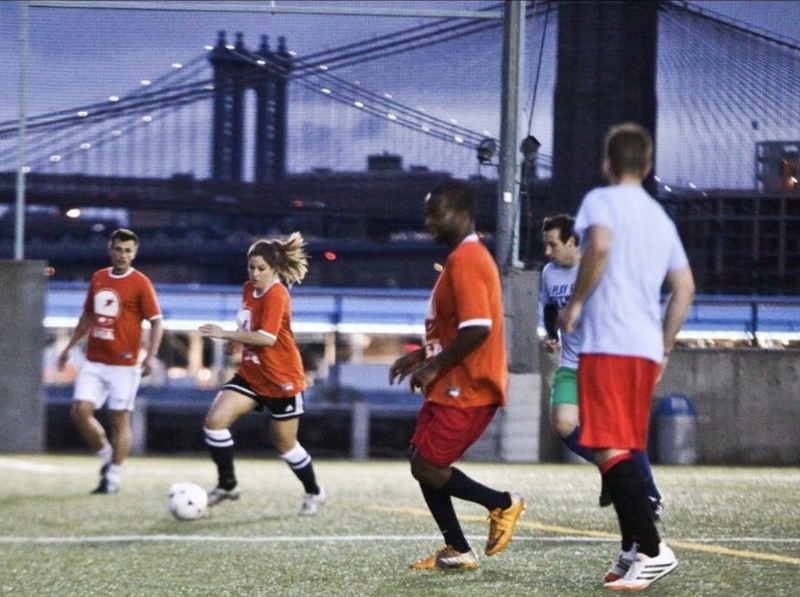 III USA team, to San Francisco where I discovered I could play the game for fun after college, and to New York where, playing under the lights of the Brooklyn Bridge, I dreamt of launching Upper Ninety in my hometown of Austin, Texas. When I finally traded my beloved Predators in for a new pair, six years after my final college season, I'd been taping them together, and to my feet, every single time I played. Anything to keep them on the field with me. Why am I telling you this story? I've worn and loved adidas my entire life. When I was a little girl, I would have told you that playing pro as a sponsored adidas athlete would be a dream come true. And then I got a phone call from adidas Soccer, letting me know that adidas wants to partner with Upper Ninety in our mission to help students from low-income Austin communities build a foundation for success in high school and beyond. They believe in our work, and they believe in our students. As our partner, adidas has committed to support Upper Ninety over the course of one year. This is fully aligned with one of the brand’s core beliefs: Through Sport, adidas Has The Power to Change Lives. “adidas is proud to work in conjunction with Upper Ninety to Change Lives Through Sport in the local community. 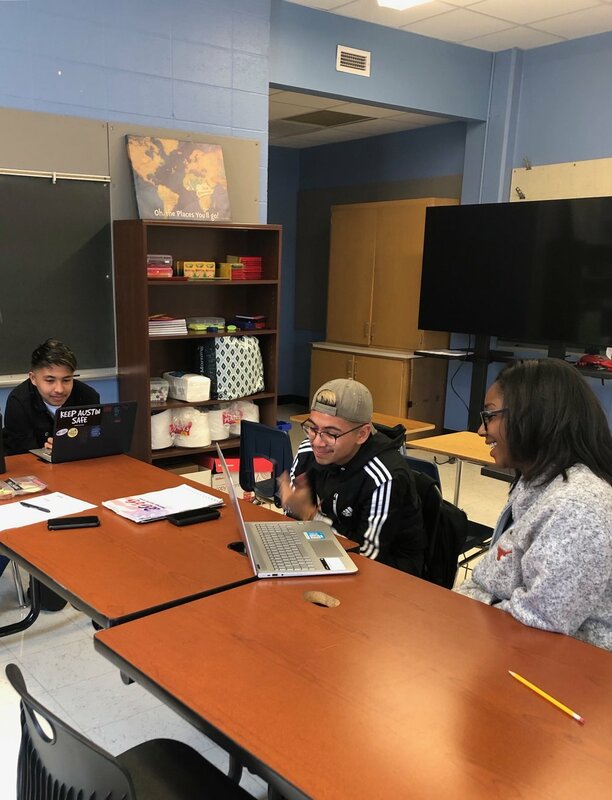 Our core belief has many parallels with Upper Ninety, one whose purpose is to help students from low-income local communities thrive in high school and beyond. We look forward to partnering with Upper Ninety for the next year and to supporting the growth of the game throughout local communities," said Sebastian Godoy, adidas Representative. The impact of adidas’ support for Upper Ninety will undoubtedly add an additional layer of partnership and added value within the local soccer community. adidas choosing to invest in our players--as students, as athletes, and as future leaders of our community--is so much better than anything I could have dreamt up as a young, predator-clad, soccer-loving girl. I can't wait to see the looks on our players' faces the first time they get to suit up in an adidas kit and step on the field to play as a team. I can't wait to tell them that adidas believes in them. So thank you, adidas. Thank you for outfitting and inspiring me every soccer season since I was five years old. Thank you for making a cleat narrow enough for those of us who just can't swing the Copas. And above all, thank you for believing in the power of soccer to help young people build a foundation for success, on and off the field. Partnering with adidas in our work at Upper Ninety is an honor and truly better than a dream come true. Welcome to Team Upper Ninety, Giovanni! Team Upper Ninety just got even bigger and better, with the hiring of our Program Facilitation Intern Giovanni Andraca! Giovanni has an incredibly inspiring personal story and a fierce passion for the game of soccer. Want to know more? Read on! 1. Where are you from? I was born in Mexico City, and I learned to play soccer with kids in my neighborhood. I moved to Austin when I was in middle school. After high school, I studied at Austin Community College and received an associates degree in Social Work. 2. What are you up to now? Now, I am a senior at University of Texas studying to earn a degree in Physical Culture and Sports. 3. Why were you drawn to intern with Upper Ninety? I was drawn to the opportunity at Upper Ninety because I would like to help the kids in the program. I came from a low-income family, and I am the first one to go to college. I have to face a lot of struggles, as many children do. In order to succeed and to achieve your goals, you must believe in yourself and work hard. 4. What is your favorite thing about soccer? The reason that I love playing soccer is that it is a team sport, and I enjoy the team environment. 5. When you're not busy studying or working for Upper Ninety, what do you like to do in your free time? I work with the University of Texas Women’s Soccer Team as a student manager. Additionally, I am on the staff for the UT summer soccer camps. When I have time, I also work for Super Soccer Stars in Austin. I play soccer in several leagues in the Austin area. For more information on Giovanni, check out his bio here. Over the weekend, Upper Ninety was featured on iHeartRadio stations KASE 101, 96.7 KISS FM, 102.3 The Beat, AM 1300 The Zone, and 98.1 KVET. Click below to hear Upper Ninety founder Kaitlin Swarts explain how we're using soccer as an educational tool to help students from low-income communities thrive. A huge thank you to Heather from KVET for having us in the studio! We are thrilled to announce our newest Upper Ninety team member, Monitoring & Evaluation Intern Elaine Yang! In between crunching data sets, Elaine was kind enough to sit down and answer some questions so we can get to know her better. 1. Where are you from? I am originally from South Korea. I came to the States at the start of my sophomore year of high school. I lived in Salisbury, Maryland, for three years then moved to Baltimore to attend college, where I studied Psychology and Cognitive Science. 2. Where are you living now, and what are you up to? I am in Cambridge currently. I came to this city to study how to develop school-based programs and enhance their efficacy through the Prevention Science and Practice program at the Harvard Graduate School of Education. 3. Why were you drawn to intern with Upper Ninety? I applied to intern at Upper Ninety because of its mission in serving low-income communities by providing a support system that helps students succeed in their lives. I also share its vision in the positive outcome of its strength-based approach, so that students are enabled to learn and enhance their potential success both academically as students, and prospectively as adults. I pursued my application to partake in its mission, bring about its vision, and share the joy in seeing the positive growth in students in the communities in Austin. 4. What is your favorite thing about Mindfulness? I find great value in mindfulness practice because of its demonstrated effect on positive outcomes in many aspects of life across ages. It has helped many regulate and reduce academic stress, improve everyday functioning with increased self-regulation, and increase positivity and satisfaction in life. 5. When you're not busy studying or working for Upper Ninety, what do you like to do in your free time? I like cooking, so I go grocery shopping at Trader Joe's. I often bring back a bundle of flowers from TJ's since I like brightening up the space in the common areas of my apartment. I also like to lend an ear to those who need someone to listen to their thoughts. 6. What's one thing your HGSE classmates don't know about you? One thing that my HGSE classmates don't know about me is that I lived in Christchurch, New Zealand, for a year when I was 13 years old. For more information on Elaine, check out her bio here.